Storytelling through song is a fundamental duty of traditional music and Matthew Byrne does this brilliantly. His repertoire has been shaped by his musical upbringing and Byrne supports this tradition with powerful vocals, polished guitar work, and a presence that fills the room. 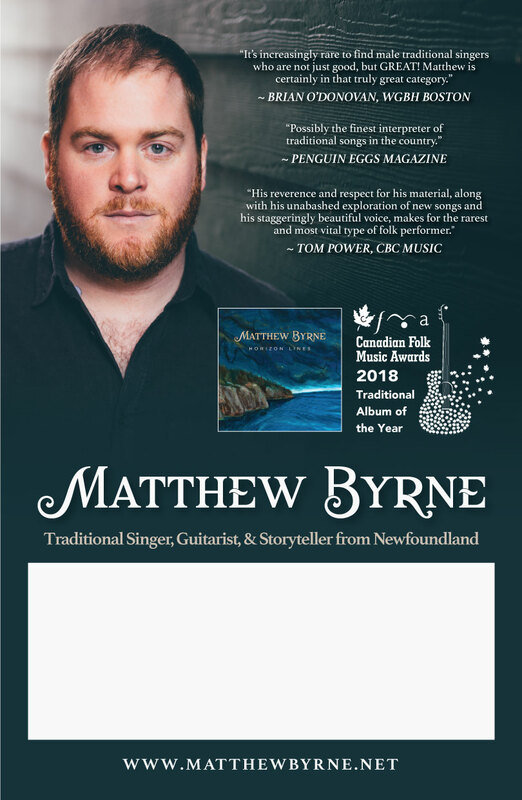 With parents who were both singers and song collectors and a strong family focus on sharing songs, Byrne has inherited a unique repertoire as well as a fascination with unearthing and reimagining traditional songs. But Byrne is also a student of history whose love of traditional music goes well beyond the words and music. For him, songs are ways of understanding people before him...their lives, work, language, and worldview.